The world we live in demands constant learning and strong problem-solving skills. 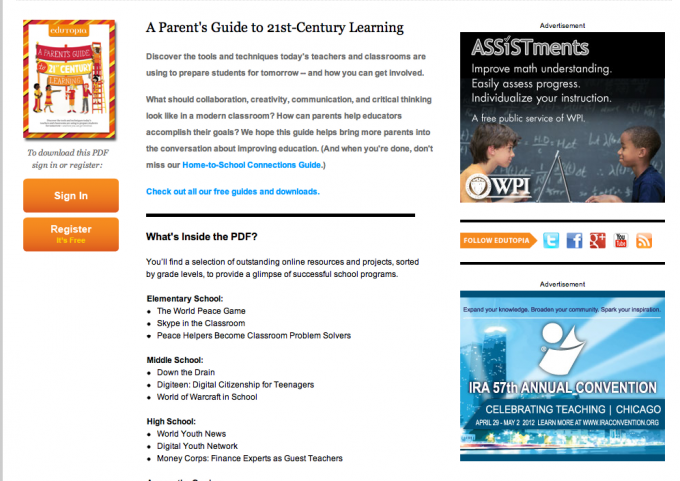 We are delighted that the World Peace Game is featured in Edutopia A Parent’s Guide to 21st Century Learning. You can follow this link to download their guide.